The Restore Order tab lists the order in which tables will be inserted / updated into Salesforce. The metadata from Salesforce to determine nearly all relationships. 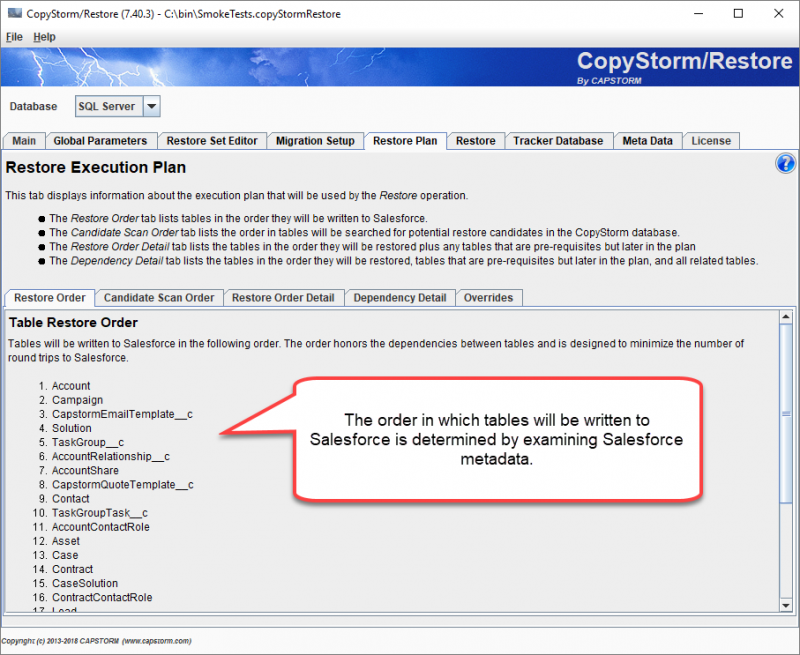 Additional configuration information in CopyStorm/Restore. This is used to supplement inaccurate or incomplete Salesforce metadata.